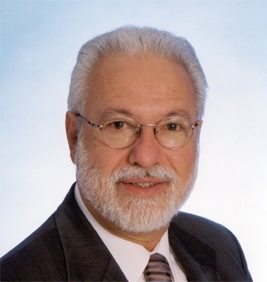 Dr. Ciro A. de Quadros was the Executive Vice President of the Sabin Vaccine Institute. Before joining Sabin in 2003 he was Director of the Division of Vaccines and Immunization of the Pan American Health Organization in Washington, DC. He directed the successful efforts of polio and measles eradication from the Western Hemisphere. Dr. de Quadros was involved with the pioneering experiences for the development of the strategies of surveillance and containment for Smallpox eradication and joined the World Health Organization in 1970 where he held the position of Chief Epidemiologist for the Smallpox Eradication Program in Ethiopia. In January 1977 he was transferred to PAHO to serve as the Regional Advisor for implementation of the Expanded Program on Immunization in the Region of the Americas. Between 1994 and 2000 he served as Special Adviser to the WHO Director General on matters related to the implementation of the Global Program for Vaccines (GPV), representing WHO in the Children’s Vaccine Initiative (CVI) Governing Bodies. This assignment was taken in conjunction with the position of Director of Special Program for Vaccines and Immunization at the Pan American Health Organization, where he advised Member governments in all matters related to vaccines and immunization, including issues related to vaccine research and development, production, quality control, vaccine licensing and introduction into national immunization programs. It also included the planning and implementation of programs aimed at the control and/or eradication of vaccine preventable diseases, including the organization of surveillance systems and laboratory support for diagnostics. Dr. de Quadros was also the chairperson of the Technical Advisory Group (TAG) on Vaccines and Immunizations of the Pan American Health Organization and an Associate Adjunct Professor at the Johns Hopkins Bloomberg School of Public Health and an Adjunct Professor in the Department of Tropical Medicine of the School of Medicine of George Washington University in Washington DC. Dr. de Quadros published over 100 papers, chapters and articles and participated and presented lectures in over 100 conferences throughout the world. He received several international awards, including the 1993 Prince Mahidol Award of Thailand, the 2000 Albert B. Sabin Gold Medal, the 2004 “Orden Civil de la Sanidad” given by the Government of Spain, and the PAHO Public Health Hero of the Americas award in 2014. In 1999 he received the highest civil award given by the Government of Brazil, the Order of Rio Branco. And in 2010, he received the Premio Carlos IV Award for Research in Preventive Medicine and Public Health from Spain’s Royal National Academy of Medicine (RANM). He was also a member of the Institute of Medicine of the National Academies of the USA. He completed his medical studies in Brazil in 1966 and received a Master of Public Health degree from the National School of Public Health in Rio de Janeiro in 1968. Dr. de Quadros passed away on May 28, 2014.